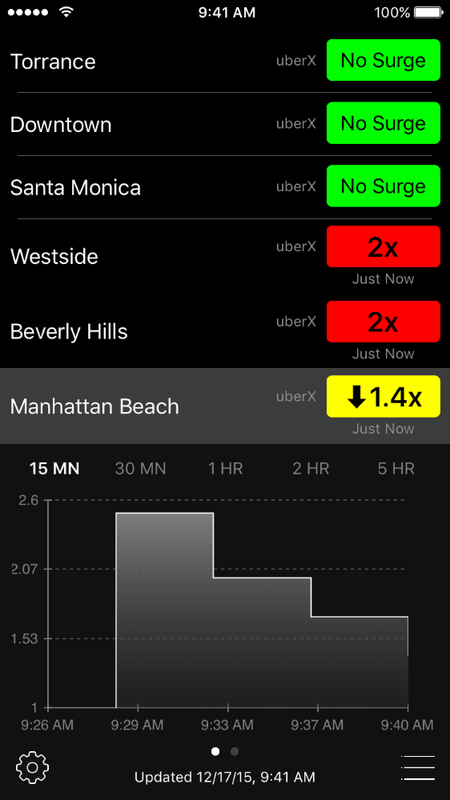 The ultimate Uber Surge tracking app. 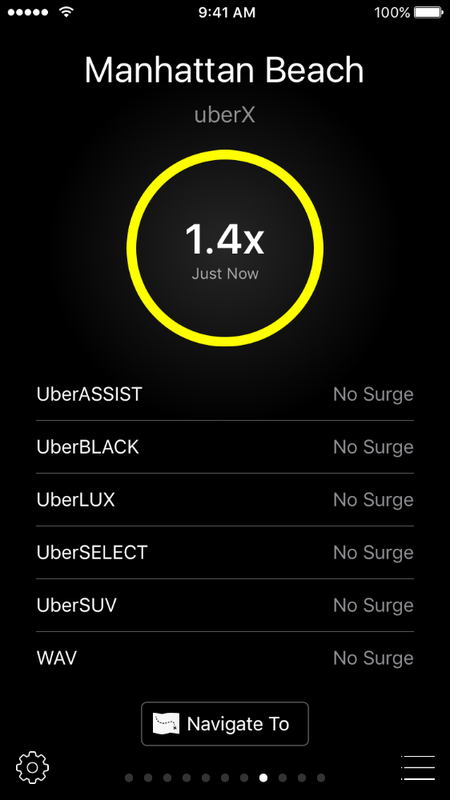 By using Surge you are able to only drive during surges. You will be able to out perform other top drivers in your city, drastically increasing your profit. You are able to be in the right place at the right time, no need for guess work. 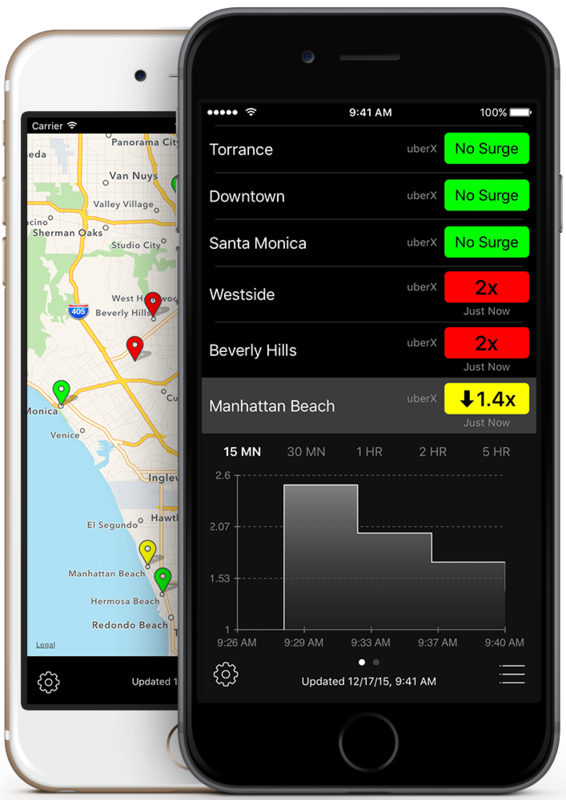 Surge data for all your locations is presented in an easy to read list, with color-coded surges, allowing to you check for surges at a quick glance. No need to log in to the Uber Partner App in order to check the surrounding area for surges. Surge records the historic surge data and presents it in a elegant graph, with 15 minute to 5 hour spans. Export historic data for an indepth analysis. Add up to ten custom locations any where in the world to monitor. It doesn't matter whether it is in the USA or Australia. Surge updates at a sub minute interval to ensure you always have the latest surge data. Get notifications when a surge starts, changes, and ends. 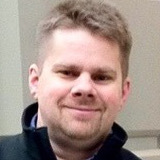 Custom tailor per location, notification types and the minimum surge multiplier. Since I started using this app, I have consistently out-earned the TOP DRIVERS in my market. Based on Uber’s weekly reports, I am earning 50% more in fares than the TOP DRIVERS in my market! My gross earnings are up over $10 per hour since I started using the app. That’s not fares, that’s payout to my pocket! At only 25 hours per week driving, I am earning over $1000 more per month in payout. With Surge Basic you can only monitor one custom location in addition to your current location. 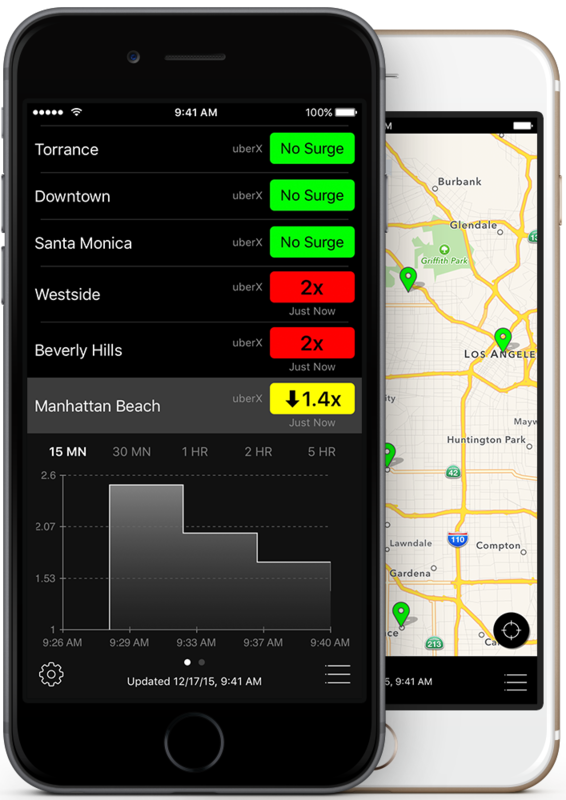 With Surge Premium, you are allowed to monitor up to ten custom locations. 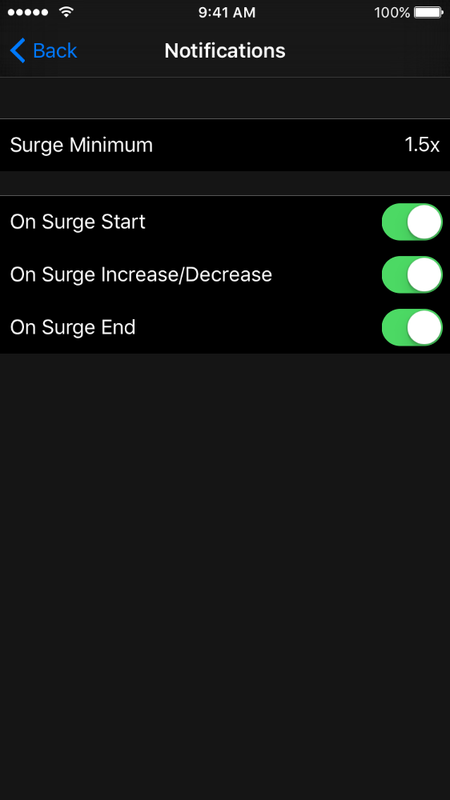 Surge Premium supports background monitoring, allowing Surge to track the surges in the background and generate notifications when a surge starts, changes, and ends. Surge Premium users will continue to get new features over time, improving surge tracking and statistics.